While some of us take pizza for granted, there are some patients that have sensitive stomachs and cannot ingest this delicious meal. Thankfully, there is a gluten free option out there. Seeing as how patients suffering from Celiac disease and cancer shouldn’t ingest gluten or sugar, it is shocking to see how many sweet edibles are found in dispensaries. This recipe is aimed for people who like to eat healthier pizza and patients. 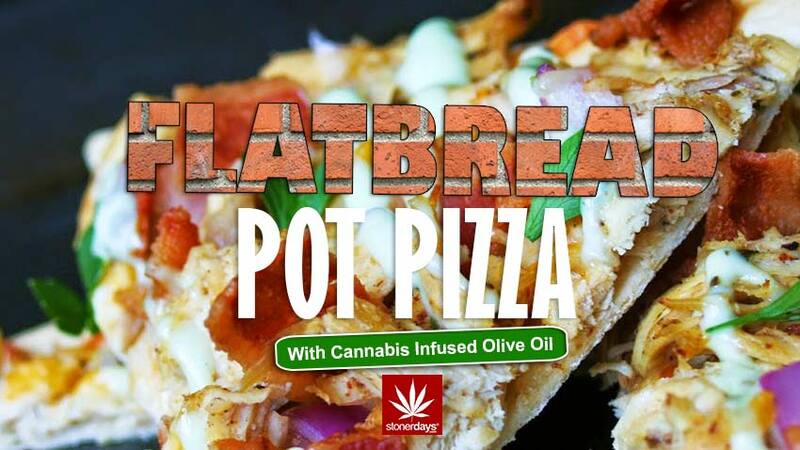 It’s easy to make, even from scratch, but be sure to have a bottle of cannabis infused olive oil handy to medicate the pizza to your liking! Start by preheating the oven to 350F. Then, combine the yeast and 3/4 cup of warm water. Let this sit for about five minutes to activate the yeast. While this sits, in a separate bowl, combine the salt, gluten free flour blend, and the baking powder. Whisk together until well combined. In the dry mixture, make a small well and add the yeast mixture, the olive oil, and an additional 1/2 cup of warm water before stirring well with a wooden spoon. Using more olive oil, coat a baking sheet and place the dough in the center. Working from the middle, press the dough outwards in to a circle. You want it to be around 1/4 of an inch thick. Place the dough in the over for about 25 minutes or until it begins to lightly brown. As the dough cooks, gather all of the ingredients that you plan to use as the toppings. Press together the minced garlic and the kosher salt to form a thick paste. Add the garlic paste to the melted butter and mix to combine everything. Once the dough is done, remove it from the oven and brush it’s entire surface with the garlic butter mixture. Be sure to coat the dough all the way to the edges. Sprinkle the pizza evenly with the cheeses, in whichever order you choose, and add other toppings if you would like. Bake the pizza until the crust is browned and the cheese is melted. This will take about ten minutes but may vary depending on ovens. Allow to cool before slicing! Serve with sauce for dipping! Enjoy! This entry was posted in Featured, Stoner Cookbook and tagged flat bread pizza.